A native of London, Kentucky, Herman A. Harrison graduated valedictorian of his senior class at London High School. 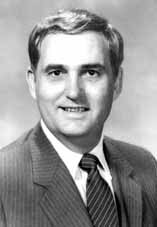 He enrolled at Sue Bennett College and later transferred to the University of Kentucky where in 1955 he received a Bachelor of Science in Mechanical Engineering. Mr. Harrison began his professional career in jet engine design for the General Electric Company (GE) during the mid 1950s. He was the lead engineer on the design of the first transonic jet engine fan compressor. His career was briefly interrupted by service in the U.S. Army. During this time, he received recognition as Soldier of the Month at Ft. Eustis Virginia. Upon being discharged from the service, he returned to GE’s Evendale plant where he led a group engaged in the adaptation of a jet engine to operate on nuclear power. During this time, Mr. Harrison was elected to the company wide Afterburner and Noise Suppressor Design Review Board. Mr. Harrison later joined Kinetics Corporation as a Project Manager. He acted as a consultant and project leader on the design of the first thrust reverser used on commercial aircraft. He later managed the team that designed the Peebles Ohio Site 3 outdoor test site to test jet engines burning high energy fuels intended to extend the range of U.S. aircraft on hostile missions. In 1960, at the age of 28, Mr. Harrison became president of his first company – Kinetics Corporation, an engineering firm specializing in the design of machine tools, industrial machinery, and aircraft accessories. Since that time he has continuously served as a chief executive officer of one or more companies. Currently, Mr. Harrison is president of the Harrison Corporation, an engineering holding company with Kinetics Corporation and Foster Transformer Company among its portfolio. Foster Transformer Company is an undisputed world leader in transformer products including the “Survivor”™ class 2 control transformer, the industry’s only completely self-protected, inherently limited, class 2 transformer. Mr. Harrison holds a number of U.S. patents and is a member of the American Society of Mechanical Engineers. He is a past chairman of the ASME’s Technical Session on Management. Widely recognized for his engineering and business acumen, Mr. Harrison has served on more than a dozen corporate boards for both publicly and privately held companies. He is a past board member, member of the executive committee and Senior Vice President of North America for the Young Presidents Organization (YPO). During this service, he established the first chapter of the Young Presidents Organization in Kentucky. Mr. Harrison became a member of the Chief Executives Organization, comprised of former YPO members where he also served on the International Board. He is past Chairman of the Cincinnati Presidents Organization, past President of the Cincinnati Club and past board member of Junior Achievement. He and his wife showed quarter horses for many years during which time he was one of the founding officers of the National Reining Horse Association. On three occasions, he chaired the judging of the national finals of the Junior Achievement President of the Year contest held annually at Indiana University in Bloomington, Indiana. His concern for the College of Engineering led Mr. Harrison and several other alumni to found the Engineering Alumni Association. Since its inception in 1983, the Engineering Alumni Association has become the largest alumni constituent group at the UK with membership totaling nearly 2000 members. The Association has supported numerous projects aimed at positioning the College of Engineering among the nations great engineering schools. Mr. Harrison is currently a member of the College of Engineering’s Dean’s Advisory Council and is a past President and Director of the UK Engineering Alumni Association. He is a past board member of the UK National Alumni Association; member of the UK Development Council; and was honored with the Outstanding Alumnus Award by Sue Bennett College. In 1998, Mr. Harrison was an invited participant in the UK Department of Mechanical Engineering’s SHARE program, honoring distinguished mechanical engineering alumni. In his free time Mr. Harrison enjoys bowling, photography and home improvement work. He and his wife Lucile, reside in Colerain Township, Ohio. They have one son–Herman L. Harrison.